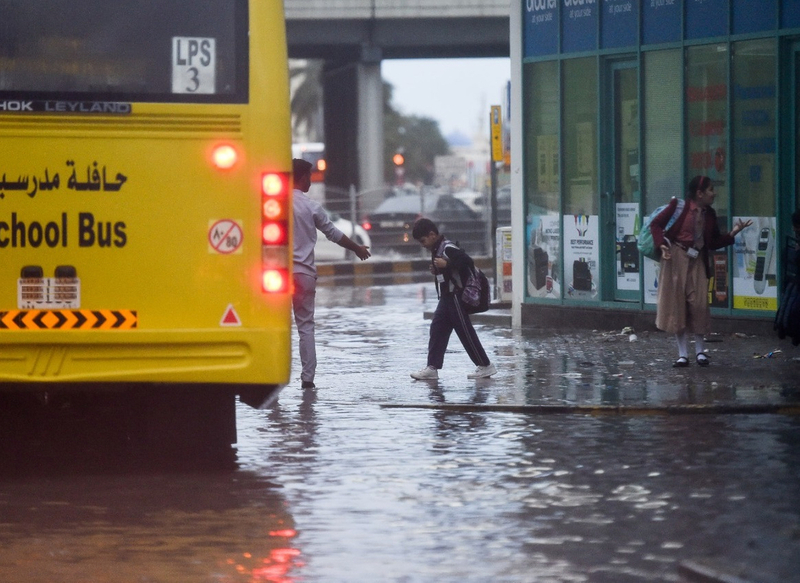 Heavy rain, hail lashed Abu Dhabi and Dubai on Wednesday but students in Dubai had one question on their minds - would they get a day off owing to the unstable weather. They asked and the Knowledge and Human Development Authority (KHDA) answered, with a crypic funny tweet. In the tweet, posted Wednesday evening, KHDA alludes to the rains, features a crying emoticon and a couple of bicep emojis (signifying strength we presume) before strongly hinting at the answer - schools are definitely open and school buses will pick students up on time despite the rains. Some students and users reacted positively to the tweets, while others were disappointed. This isn't the first time that KHDA's social team has used dry humour in the face of rains. 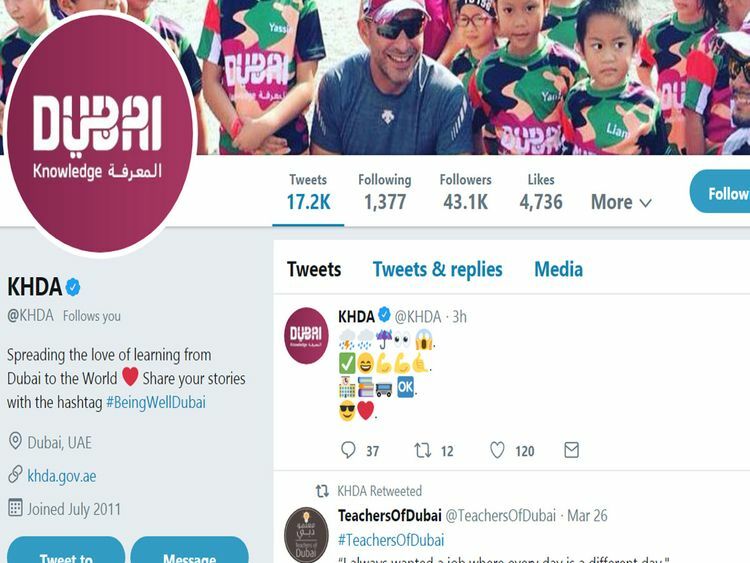 In November 2018, KHDA had posted, and then deleted, a series of funny tweets answering students' woes on the rains. By noon that day, however, the tweets had disappeared. “We try to be funny sometimes, but that doesn’t mean we’re not serious about our students safety. We love you all, rain or shine!” the KHDA team had tweeted before signing off.